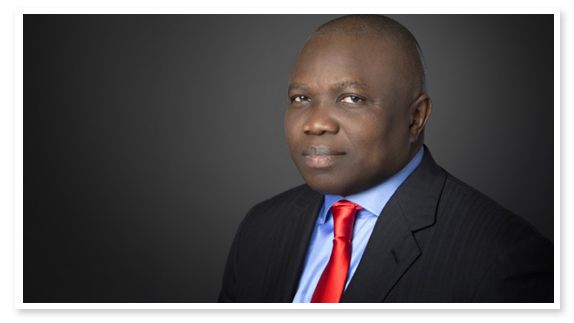 My name is Akinwunmi Ambode and I am running for the Governorship of Lagos State in the elections slated for February 2015. I am from Epe and of the Christian faith. I served in the Lagos State Civil Service for 27 years and retired voluntarily in 2012 as the Permanent Secretary and Accountant General of Lagos State. I am driven by my passion for and commitment to good governance, better life and socio-political tolerance. Throughout my educational pursuits and professional career I have held positions that demanded service to others and to the society at large. In all instances, I have always given my all and delivered to the best of my ability. I declare my readiness to serve the State and its people as Governor, with courage, forthrightness, clarity of purpose, integrity and dedication. I hope to continue in the great strides of our indelible compatriots, such as Chief Obafemi Awolowo, Mobolaji Johnson, Alhaji Lateef Jakande, Asiwaju Bola Ahmed Tinubu and Babatunde Raji Fashola (SAN) whose courageous, visionary and remarkable leadership lay a solid foundation for Lagos State and continue to inspire us all to make even better. Craves a new Nigeria, consolidating the credentials of Lagos State as the most populous, diverse, economically and socially thriving, and the most cosmopolitan State in the Country. Continues to ensure that Lagos State is one of the most religiously tolerant, most welcoming States to foreign investors, and unarguably the most efficiently run State in Nigeria. Has made Lagos State an example of responsible and responsive governance.